I’m excited to announce that we’ve just closed a $7 Million Series A led by FirstMark Capital, with participation from our existing institutional investors: TechStars (with their new venture fund), Balderton, Partech and Borealis. We were clearly super early on all those fronts. But three years later, we’re natively integrated with the most famous creation software – Photoshop – the largest publishing network – Facebook – and the most advanced AR device – the HoloLens – confirming our position as the standard for 3D content publication. Sketchfab is now used across all industries, by global companies like HTC, Blizzard, Microsoft, the British Museum… and thousands of 3D creators. Making 3D content is now easier than ever: with 3D scanning tech like Intel Real Sense or the Structure Sensor, anyone can make a 3D file in just a few seconds, using their mobile device. Google is working on Project Tango, and Apple acquired PrimeSense and LinX to bring 3D capture to the iPhone. Professional 3D designers are combining their modelling skills with 3D scanning to work better and faster. Kids are learning CAD at school, and games like Minecraft offer intuitive ways to create virtual content. We are integrated with most 3D creation tools, and as a direct result of being the best 3D viewer on the market, we are also the fastest growing repository of 3D files. Our vibrant community has shared more than 300k 3D files on Sketchfab to date. Tomorrow – if not today – you’ll be able to find a virtual version of almost anything on Sketchfab: objects, places and people. At the other end of the spectrum, demand for 3D content is soaring with the proliferation of VR/AR headsets and 3D printers. We play a key role in those ecosystems, with integrations like Microsoft HoloLens and 3D Hubs, and direct support for Oculus or Cardboard. It means you’ll be able to use Sketchfab content not only for 3D embeds or downloads, but also 3D printing, VR, AR; virtually all 3D use cases, anywhere on the web. Over the past few years, WebGL has become the standard for displaying 3D graphics in a browser, supported across all desktop and mobile browsers. What’s coming next is WebVR, which will give us powerful ways to communicate with VR and AR SDKs. 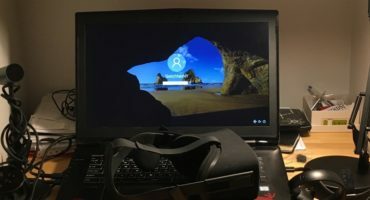 You can already experience WebVR on Sketchfab with Chromium, you’ll see our VR mode in the navigation options. 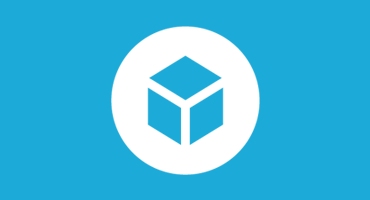 We are building Sketchfab because we believe 3D, virtual and augmented reality are changing the ways we consume content, and becoming a common media format just like video or sound. We were early then, and we’re ready now. The road ahead is still long and challenging, and we are grateful to welcome FirstMark to our team. They have a proven track record of helping companies grow, with deep expertise in creative networks (they backed Pinterest), gaming (they backed Riot), commerce (they backed Shopify), and 3D (they backed BioDigital and BodyLabs). Matt Turck will be joining our board: besides our shared French roots, Matt has extensive knowledge of the Internet of Things, Big Data, Hardware, and Media, all of which will be invaluable for us on our road towards being a market leader. I’d like to thank our team who have built an incredible product, and our community who are using it in ways that amaze me every single day. Thanks for choosing us as the place for 3D, VR and AR on the web. I just like the helpful information yyou supply in your articles. I’ll bookmark youyr blog and check once more rightt here regularly. I am reeasonably certain I will learn plenty of neww stuff propoer here!